The plan for ONE GOOD EGG is to continue to grow and tour many other cities. 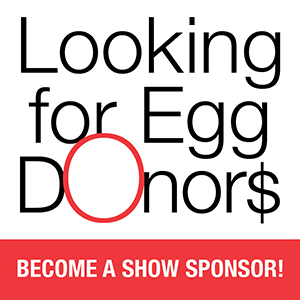 If you would like to be an “Egg Donor” and help support the future life of this play, we welcome your kind support! The production has a non-profit 501 c 3 fiscal sponsor – Art Without Limits – so your gift is tax deductible. Your donation is appreciated and will be acknowledged in future production programs. When you donate, please contact our Artistic Team at onegoodeggshow@gmail.com to confirm your online donation. We will confirm that your donation is allocated to the ONE GOOD EGG show account. Thank you very much for supporting ONE GOOD EGG! Britt Andreatta, 7th Mind Inc. The Burton and Doris Lyman and James C. Thompson III Scholarship Foundation, Inc.